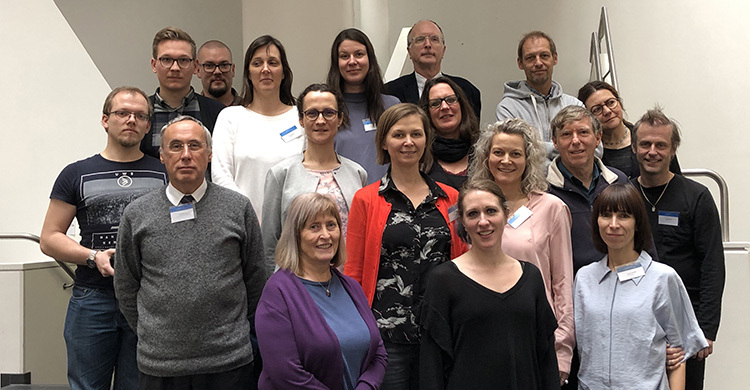 Turku, Finland, 20 March 2019 - the 15th meeting of the ASCOBANS Jastarnia Group has successfully concluded in Turku, hosted by the Finnish Ministry of the Environment and the Turku University of Applied Sciences. As well as reviewing progress under the conservation plans for the Harbour Porpoise in the Baltic Sea (the “Jastarnia Plan”) and in the Western Baltic, Belt Sea and Kattegat (WBBK), the meeting heard a presentation from a representative of the European Commission on the EU Technical Measures Regulation, which will replace Regulation 812/2004 governing bycatch mitigation. Jastarnia Group members expressed their disappointment and concern that despite substantial input in the consultation process few of the recommendations made by ASCOBANS appeared to have been taken into account. “It remains to be seen how Member States will rise to the challenge of implementing the new regulations in ways that effectively address bycatch which is the main threat to Harbour Porpoises in the ASCOBANS Agreement Area,” said Ida Carlén, Chair of the Jastarnia Group. The meeting saw several interesting presentations, one of the highlights being a presentation on the preparation of SAMBAH II, a project which will aim to survey the Baltic Sea population of Harbour Porpoises. Serving as a Steering Group for the ASCOBANS Jastarnia Plan and the ASCOBANS WBBK Plan, the Jastarnia Group was established in 2002. Since 2005 the group has met annually in an ASCOBANS member country around the Baltic.